For many shoppers, finding something you like at Nordstrom is easy, but finding a deal isn’t always as simple. We rounded up our best bargain-hunting tips to help you plan your next shopping trip to this high-end department store. Born as a modest shoe store in the Northwest over 100 years ago, Nordstrom has become a well-known luxury retailer. The department store chain sells clothing, shoes, beauty products, housewares and more both online and in its stores. The retailer is perhaps best known for designer labels and pricey products, but it also has a reputation for its generous return policy and extensive free shipping. Sale events are a big deal at Nordstrom because they don’t happen every day. Here are the best times to hit up Nordstrom throughout the calendar year. Anniversary Sale. Each July, Nordstrom hosts its biggest sale of the year. The Anniversary Sale includes major markdowns (in the neighborhood of hundreds of dollars off) on a selection of summer and fall merchandise. Half-Yearly Sale. Once in spring and once in fall, Nordstrom hosts a Half-Yearly Sale to fill the gaps between the Anniversary Sale. These deals typically include discounts on clothing, shoes and accessories. Black Friday. The day after Thanksgiving is a sale day at just about every retailer imaginable, and Nordstrom is no exception. Expect this event each year, and bookmark the Black Friday page on Nordstrom’s website for more information about the next installment. Clearance. If there aren’t any sitewide or storewide sales happening when you need to make a purchase, scope out the clearance section. Another cost-saving strategy is to check out Nordstrom Rack, the off-price retail division of Nordstrom. Here, shoppers can expect to find brand-name clothing, accessories and shoes at 30 to 70% off original prices. Much like many store rewards programs, the Nordstrom Rewards program is free to join — just be prepared to provide your name, email address and mobile phone number. Once you’re enrolled, you’ll earn one point for every dollar you spend at Nordstrom, Nordstrom Rack and HauteLook.com, a members-only shopping website acquired by Nordstrom. Accumulate 2,000 points to earn a $20 Nordstrom Note to spend on anything at the store. Those with a Nordstrom credit card earn two points per dollar at Nordstrom, Nordstrom Rack, HauteLook.com and Trunk Club, a Nordstrom company. They also enjoy exclusive perks, such as early access to the Anniversary Sale. Don’t bother searching online for coupons or coupon codes; Nordstrom says it doesn’t offer coupons for sales or discounts. One occasion when you may need to enter a promo code is if Nordstrom offers a free gift with purchase of a certain product or brand. If needed, a code will be reflected on Nordstrom’s site. Go online for a current listing of available gifts with purchase. 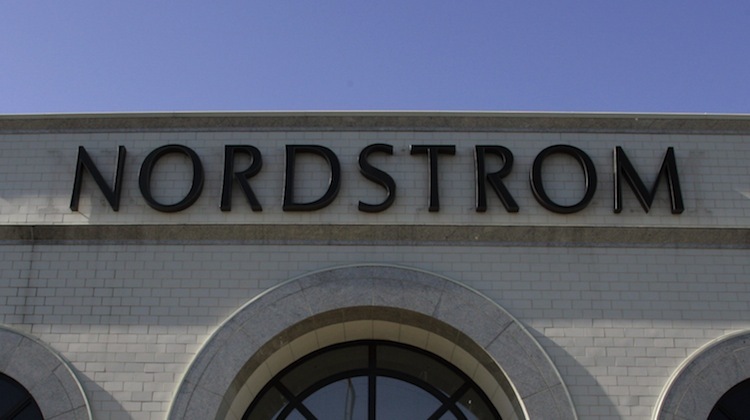 Nordstrom says it ships almost anything on its site to anywhere in the United States for free. Most in-stock items will arrive within three to eight business days after an order is received. Returns are free, and there’s no time limit for returns and exchanges. The store’s liberal policy doesn’t even require a receipt in some instances. According to Nordstrom, returns are handled on a “case-by-case” basis. Returns are applied to the original payment method of purchase, but if a refund is provided when there’s no record of sale available, the return will be issued via a Nordstrom gift card based on the current price. In general, Nordstrom is a pricey department store, so it pays to maximize your savings. By joining the rewards program and shopping during sale periods, you can get the brands you love at prices you’ll also love.